My friends and I are hyper-worried about the future, now that Republicans have gained control of all three branches of government. I suppose that could be a signal to stop worrying, since they now have the reigns, and thus the worries. Of course, both parties have always assumed the other side would destroy the future, explaining each side’s endless worrying. What if I stopped worrying about politics and only worried about things I could actual change? 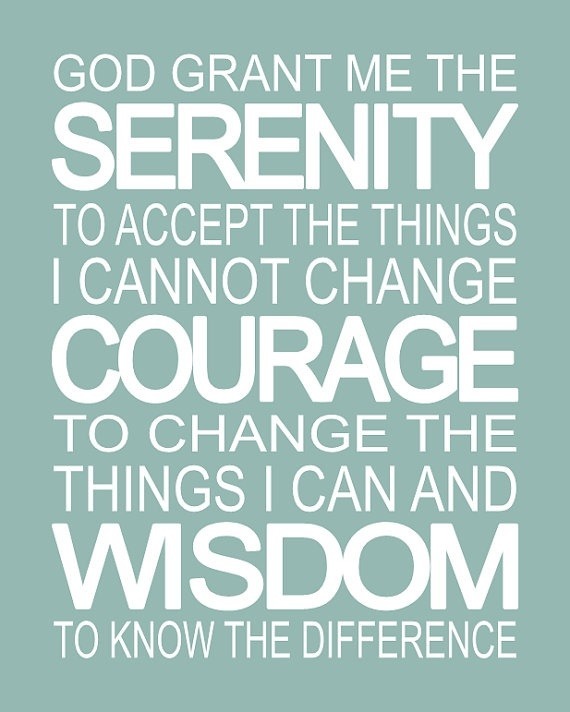 What if I was granted the serenity prayer? If I only need to worry about those things I can change, then how many things do I need to worry about? What world problems can I change on my own? Would rephrasing that be more illuminating? How many problems do I make worse? My wife and I never had children, so we don’t add to overpopulation. I’m retired, get out little, and live off a plant based diet, so my carbon footprint is relatively small. Except for an occasional roof rat, I don’t kill anything. I’m not a terrorist or hate anyone. I don’t drink, do drugs or commit crimes. I’m rather bland and innocuous. I’m a watcher and a reader, observing reality as I wait to die. By this accounting, I have little to worry about. A major increaser of worries is trying to convince other people to be different. Whether its getting a spouse to do more housework, a friend to eat healthy, or everyone to stop using coal, convincing people to be different creates endless worries. I could vastly reduce my total worry count if I stopped trying to change people. What about worrying about myself? For example, I’m currently worried about writing a new essay for Book Riot. My choices are either to write or not write, but I spend a lot of time either worrying about not writing or worrying about what to write. The Zen thing to do would be either to write or not write and forget the worrying. Should I worry about anything? 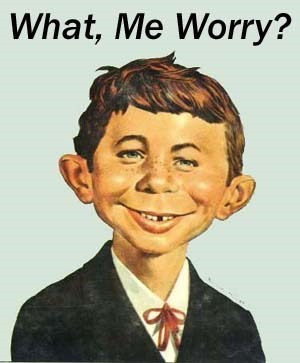 Is not worrying shirking a duty? Shouldn’t we all be taking turns worrying about the world’s problems? Everyone should contribute to charities, right? Is worrying helping those causes? Maybe giving or volunteering to a charity is the only way to solve their problems. But many charities spend their income trying to convince more people to worry about their cause. The solution, give to charities that do rather than worry. I’ve convinced myself I have little to worry about, so why do I worry so much? My mother was a worrier. I called it gnawing her bone. She believed that worrying about bad things kept those bad things from happening. The evidence suggests all my worry about climate change and Republicans had no effect on the 2016 election. Maybe I should stop gnawing my bones. When you worry you suffer twice. I don’t worry. We have to deal with Reality and the consequences of our decisions and actions. And we have to cope with the impacts of others on our lives. Last night a guy backed into my vehicle and damaged the driver’s door. More insurance and claim hassles! Why worry about it? It’ll get fixed. Previous Previous post: Should Manufacturing Robots Be Banned?